DOCTOR WHO: Behind The Sofa - KINDA | Warped Factor - Words in the Key of Geek. Andrew Jero continues his look back at some of the scarier Doctor Who stories, the ones that saw kids watching from the safety of behind the sofa. 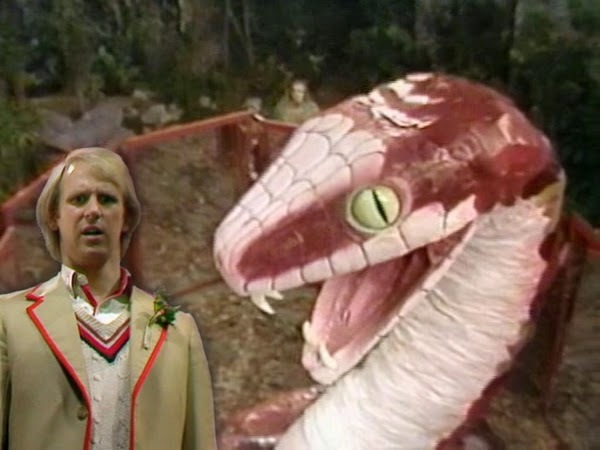 This time it's the Fifth Doctor adventure, Kinda. The first script written for Doctor Who by Christopher Bailey and in my opinion the best script ever in Doctor Who’s long history, Kinda scared me to death when I was a kid. The story is perfectly paced, although perhaps going a little too fast at times - Part one had an original edit that ran at almost thirty minutes, but the broadcast version has a run time of 24:50. So five minutes of material was cut from just the first part, I’d be interested to see a version of the story with all of the material put back into place. Kinda is a story that touches very heavily on religion as its inspiration. Using a lot of Buddhism and some Christianity, the story manages to create a horrifying enemy, the Mara (temptation in Buddhism), a snake (temptation in Christianity) to possess people to its own end. Scriptwriting is classed as creative writing, Kinda is perhaps the most creative piece of literature ever written and the performances throughout never disappoint. Possibly one of my favorite moments is when the Doctor and Todd go to Panna and she tells them that the Doctor should not be able to speak unless he is an idiot. Every time she calls him an idiot it makes me laugh a little bit - the character that we are used to being the smartest one called an idiot several times, and he doesn’t seem to care all that much. The Doctor and Todd seem to almost have a relationship that may possibly develop into something more. The possibility that the Doctor could be in a romantic relationship had been touched upon in The Aztecs, when the Doctor accidentally gets engaged to an Aztec woman. With Todd, all possibility of that kind of relationship goes over the Doctors’ head. 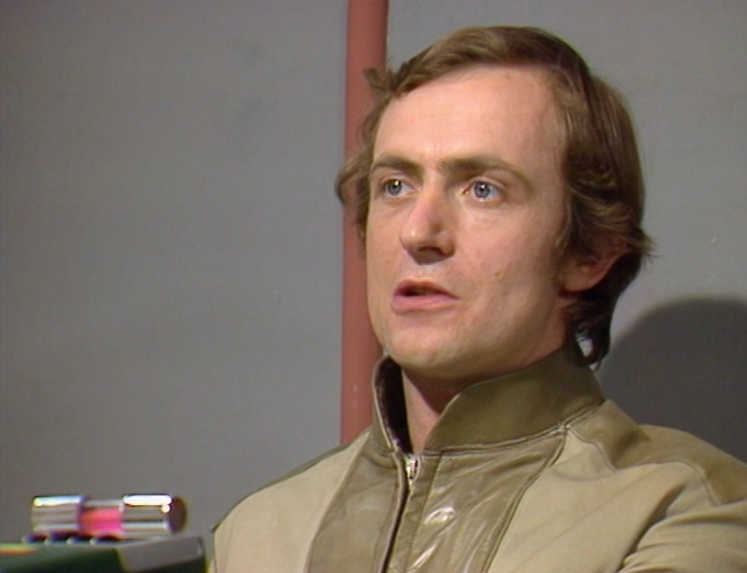 The Fifth Doctor always looks to the rational explanations for everything, anything else seems ridiculous to him. This story contained what are probably the scariest sequences of scenes in Doctor Who. The dreaming scenes are absolutely horrifying and really make the audience attach itself to the character of Tegan, who you feel for later when she is possessed by the Mara. The lighting plays a pivotal role in the atmosphere in Kinda, although the scariest aspect of the entire story is probably Hindle. Hindle, who has been driven mad, is left in charge by Sanders, and is responsible for two of the most frightening cliffhangers ever. In Part one, Sanders has left, the Doctor and Todd are talking about Hindle going crazy. Hindle then approaches them and informs them that he has the power of life and death over all of them. That’s scarier than the dream sequences because it brings you closer to realism. Realism makes things scarier. The more believable the situation, the more frightening it can become. The seriousness that Simon Rouse brings to the role of Hindle is what makes him so horrifying. Hindle is almost scarier than the threat posed by the Mara. The Mara would just possess everything on the planet, where Hindle would destroy the entire planet and reduce it to its base chemical constituents. 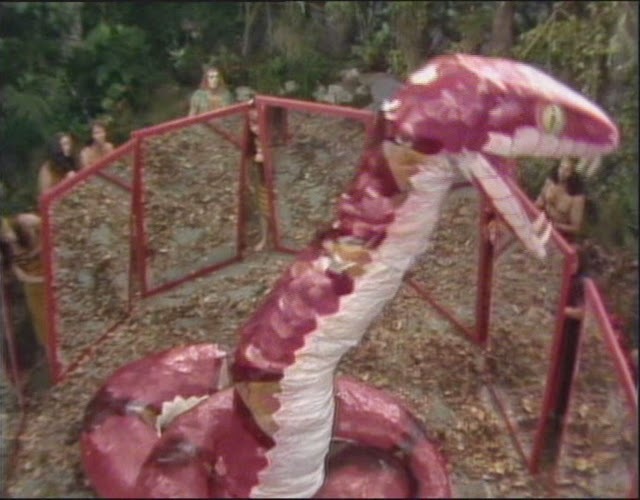 The second cliffhanger is my second favorite of all time, The Doctor, Todd and Sanders have been put in a cell with the box of Jana, with no idea about what could be inside. Hindle orders them to open the box, they argue with him about it and he tells them, “…open it! Or I’ll have you shot!” Todd tries to dissuade the Doctor from opening the box by telling him that whatever is inside could kill them, the Doctor adds, “Unfortunately, so could Hindle.” Part two ends with Todd screaming as the Doctor begins to open the box. For me this is undoubtedly the most horrifying piece of television history. Everything from the script, the score, the performances and the atmosphere set up slowly throughout bring this story to life. Despite being one of the scariest stories ever, it also brings some of the most innocent and childlike moments from my Doctor, Peter Davison. The scenes in part two where Adric is doing the coin trick are some of my favorite from Davison. His explanation as why the coin couldn’t disappear is one of the aspects of his Doctor that makes him easily my favorite. This is one of the few stories where the cast in the audio commentaries actually don’t make fun of it and talk about how much they loved to do it. Whereas in another one of Davison’s stories that is in my top ten, Earthshock, the cast makes fun of their performances the entire time. When Peter Davison and Janet Fielding get together on a commentary and don’t make fun of the story, that in itself is a testament to how good Kinda is. I would love to see the Mara make a return in the new series as did a fellow contributor. 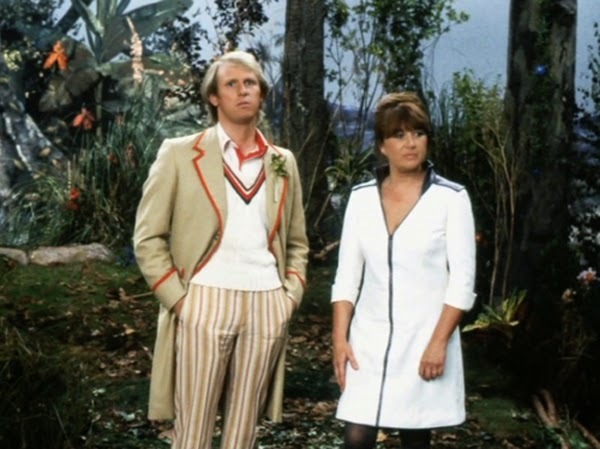 A return for the Mara might even spark a return for the Fifth Doctor. The production team couldn’t use S14, otherwise known as Kinda, or Manussa for the setting as those stories have been freed from the Mara forever. Perhaps it’s time for an explanation for where the Dark Places of the inside actually is, if it exists as a physical location. For a long time, I didn’t like this story due to my strong memories of horror as a child, so until its DVD release, I would rarely watch it. I had an omnibus version on tape which was edited together, that version of Kinda looses the pace and the effectiveness of the cliffhangers. But watched as four twenty-five minute episodes, I think it is easily the best episode made in Doctor Who’s fifty year run. This story is what makes Tegan my second favorite companion of all time, after Jamie. This is a story that really lets her shine and was so good that the production office commissioned writer Christopher Bailey to make a sequel. While Kinda, may not often find itself high up on fans lists, for me it characterizes what I love about Doctor Who the most, its ability to combine very frightening moments with moments that the younger kids will be less frightened by that seem more close to home. Moments that make their hero, the Doctor, seem alien - like the coin trick. It's fun to see the Doctor have trouble with what would be to most people, a simple trick. 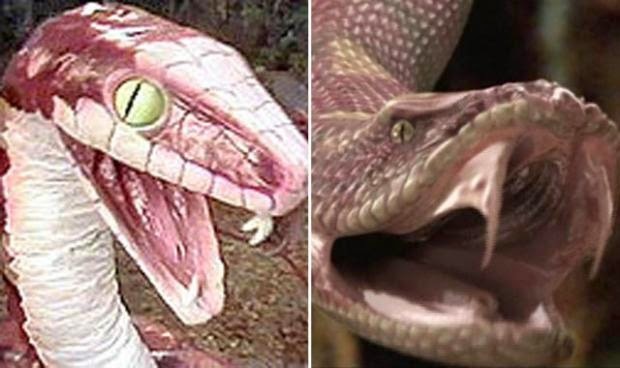 All in all a 100 percent successful story, yes, even the giant rubber snake, but if you haven't seen the CGI version take a look as it is truly horrifying.